The purpose of this workshop. Firstly, it is to restore to the Reiki Symbols to their original Divine Vibration. This was lost when Man disconnected from Source. This process can only be gifted to us by the Angelic Kingdom of Light. The symbols given in this workshop are attuned through the Angelic vibration. 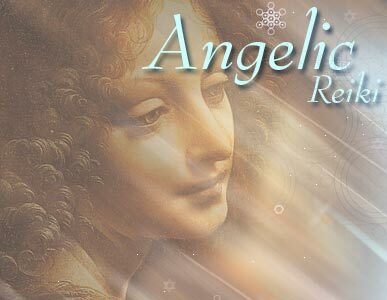 Healing Angels give the attunements and work with you on a permanent basis taking your connection to the Angelic Kingdom to a new level. It will impart to the student a complete system of healing used through the Angels and the Reiki symbols. The student is given practical 'hands on' experience in healing methodology involving healing as a channel, healing with intention, healing with a Master and Galactic Healers and Multi-dimensional Healing. The workshop also includes how to attune spiritual tools such as crystals and essences. This workshop will give you the most perfect gift for you. It will support your own personal healing and spiritual journey, open up gifts and spiritual talents; reveal your dharma and life’s purpose. It may be to help you to support family and friends or be a step on the way to share it with others as a professional healer or teacher. You may not know, but your Soul will know why it has brought Angelic Reiki to you. It will change your DNA, your cells and molecules and activate your Lightbody. It will enable you to merge more intimately with The Angelic Kingdom of Light. 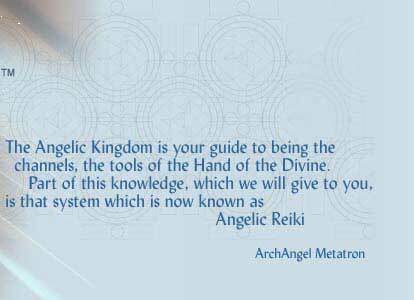 Full attunement to Angelic Reiki 1st and 2nd Degree which includes 8 Divine Multidimensional Symbols. Hands on healing experience, being a channel for healing energy through Healing Angels and the Reiki Symbols plus the first steps in Multidimensional Healing. This workshop is a powerful experience and lays the ground for the incoming Galactic Energy of the Ascension. It places you in your own Spiritual Power and Knowledge of yourself as the Ascended Master that you truly are. 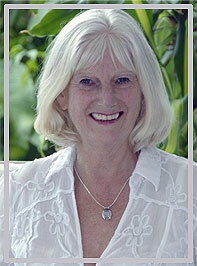 Introduction to the laws and rules of healing as given by Djwhal Khul to Alice Bailey in the book "Esoteric Healing". Angelic Reiki for pregnancy and babies, and the support of indigo children. Explanation of how to create a sacred space and the part crystals, cards, candles, colour, sound and sacred perfumes play in this. Provision of the 1 & 2 workbook to each participant, at the start of the class, and explanation of the material in this book. The shape, sound, drawing, and meaning of the symbols are NOT taught. Simply to look at the symbols integrates their vibration into the recipient's consciousness. The most perfect symbols and energy are provided, brought and guided by the Angelic Kingdom of Light (not the healer).